Nambudripad’s Allergy Elimination Technique (NAET) » Healing Roots Acupuncture | Acupuncture in Boston, Watertown, MA | Terry Plante, L.Ac. 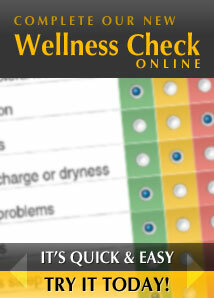 Is a safe, natural approach to detecting and eliminating all types of allergies. Combines kinesiology (muscle testing) and Oriental Medicine to “clear” allergic reactions by “reprogramming” the brain. Involves applying light pressure along both sides of the spinal column, to stimulate specific acupuncture points associated with individual body organs. To Western medical practitioners, an allergy is an over-reaction by the immune system. To NAET/Oriental medicine practitioners, an allergy is an unusual sensitivity to one or more substances — or allergens — that may be harmless to most other individuals. To NAET practitioners, an allergen is a substance the brain views as a threat to the body. The brain reacts by blocking one or more of the body’s energy meridians. Therefore, an allergy is what the allergen does to the energy flow in the body. At least one person you know has allergies, mild or severe. You or someone you know is sensitive to at least one substance, seemingly generally harmless to everyone else. Allergies are generally difficult to diagnose, and – until now – rarely cured or eliminated. But that was before NAET. A simple muscle response test will confirm or eliminate a suspected substance as an actual allergen. Since the brain recognizes substances that come close to, or into direct contact with, the body, these substances — or allergens — trigger mild, but measurable responses. In short, anything in the environment can easily be tested non-invasively. After taking a patient’s medical history, we use simple muscle testing to isolate an indicator muscle that will remain strong under testing without the presence of an allergen. Then, we test the same muscle with the patient holding the suspected allergen. These tests quickly confirm the presence or absence of allergic reactions. Once allergens are identified and prioritized, we administer acupressure according to the NAET protocol. This alters the body’s response to future contacts with the allergen and relieves the allergic symptoms. Stimulating acupuncture/acupressure points along the spine energizes the meridians and creates a state of free energy flow. Is that the whole treatment? Not quite. After acupressure the patient is re-tested with the same allergen(s) to verify that the body and brain have accepted the clearing process. The patient then “cooks”/rests to calming music for 15-20 minutes. This quiet time is essential for the treatment to hold. The patient is checked for clearance of the allergy one last time and then is sent home to finish the clearing cycle. At home, the patient avoids all contact with the treated allergen for up to 25 hours. This allows newly reprogrammed energy to be exposed to the 12 major meridians as the body cycles through its own biological clock. At the next treatment session the patient is checked again to verify that all allergic responses to the treated allergen have been eliminated. Individuals with few allergies will need only a few treatments, while those with multiple allergies will require more. What are the different types of allergens? Click here for more information on NAET treatments, please read Dr. Nambudripad’s book, Say Goodbye to Allergies, and her other books. Her official NAET web page describes these books and offers more information on NAET. Click here to view NAET Orientation video to get better acquainted with the process.